When Prince William Living launched its first Influential Women Awards five years ago, we quickly realized that this topic resonated with readers. Entries poured in, and the issue announcing the inaugural winners was one of our most-read to date. Choosing just five women from the impressive entries was no easy task for our judges. Today it isn’t any easier, but we are proud to see how the awards have grown and our judges include past winners! 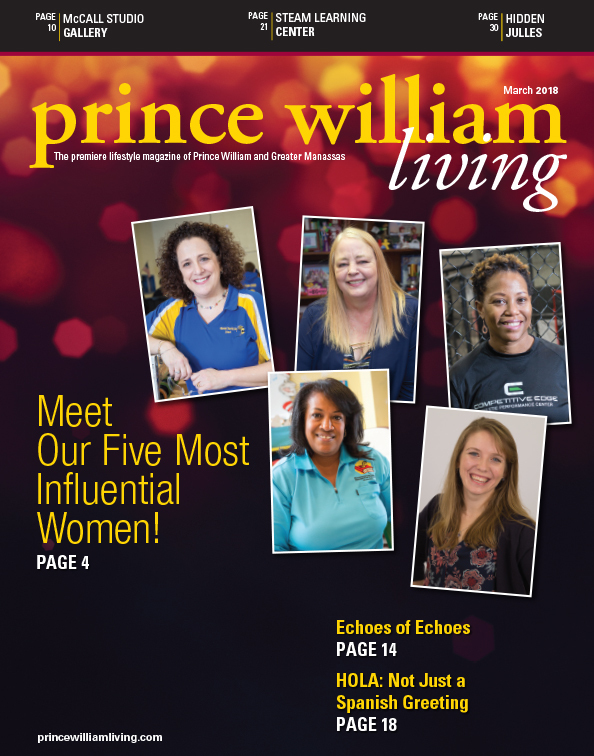 Many women in Greater Prince William give of themselves to strengthen our community, leaving their marks in the business world and serving as inspirations to others. Nominations for the 2020 Influential Women Award will open in fall of 2019! To follow awards updates on social media, look for hashtag #pwlInfluentialWomen. For questions, contact [email protected].